Assorted. 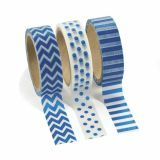 1 1/2" x 1 1/2"
This Primary Color Chevron Washi Tape Set makes adding a little zig zag to any craft project easy and fun. Chevron Washi Tape is decorative, funky and can be used on almost any surface. Each roll includes 16 ft. of tape. 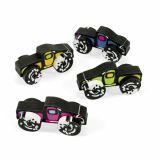 (5 rolls/pack) Approx. 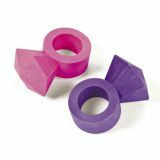 1/2"
Assorted colors. (1 dz./PBH) Approx. 13/4". 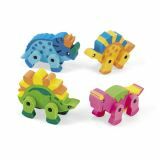 Dinosaur Movable Erasers. Assorted styles. 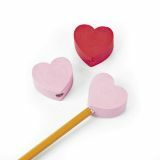 2 1/4" x 1 1/2"
Plastic Heart Mechanical Pencils. Assorted colors. Includes glittery butterfly topper. Pencils have #2 lead. 6" Uses .5mm lead. 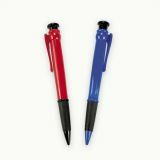 Plastic humongous Ballpoint Pens. Assorted colors. 11 1/4" tall. 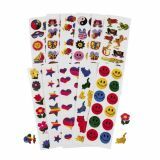 Each sheet contains 12 assorted stickers. (500 sheets/pack) 1/2" - 1 3/8" Assortment may vary. 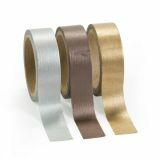 Metallic Washi Tape featuring bronze, silver and gold with a shimmering metallic finish, these dazzling craft supplies are just great! 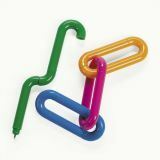 (3 pcs./pack) 1/2" x 49 ft. 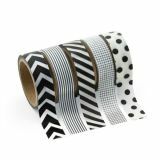 So fun and easy to use, this black & white Washi tape is an essential craft supply for any paper crafter. Each roll includes 16 ft. of tape. 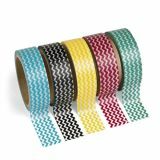 (5 rolls per pack) 5/8"
Washi tape is the hottest new craft trend in crafting! Use this blue washi tape to jazz up the edges of your scrapbooking projects or add it to your arts and crafts projects for the perfect go-to supply. 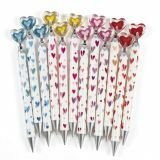 Patterns include chevron, polka dots and stripes. Each roll includes 16 ft. of tape. (3 rolls/pack) 5/8"